In her most recent article for www.pokerplayernewspaper.com, Wendeen Eolis talked at length about the Full Tilt Poker and PokerStars deal, but it was one topic in particular that caught the eye of the poker community, which was Eolis’ thoughts and insights into Howard Lederer, citing unnamed friends and sources. According to Eolis, Lederer was last seen partying at a friend’s house in Las Vegas after the announcement of the Full Tilt poker deal. The article goes on to say that Lederer’s friends have been pushing the idea that Bitar was in charge of the day-to-day operations of Full Tilt poker prior to Black Friday, relinquishing management duties in the years leading up to Black Friday, and only returning to an active role with the company after Black Friday to try to get a deal done. The article brings up an interesting factor that has been overlooked since the announced deal between the DOJ, PokerStars, and Full Tilt Poker; what will become of the civil indictments against Howard Lederer, Chris Ferguson, and Rafe Furst? From the campaign by Lederer apologists (anonymously) it appears that Ray Bitar is being pegged as the fall-guy for the woes of Full Tilt Poker. 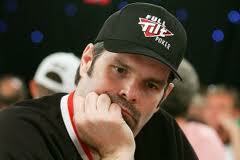 For the most part the rehabilitation of Howard Lederer (and by extension Chris Ferguson) is not going well, and most of the community still sees Howard Lederer as a major player pre and post-Black Friday at Full Tilt Poker. It’s hard for many to understand how someone so integral to the company would suddenly step-down from all management decisions, but did remain as a part of the Full Tilt Poker Board of Directors. The poker world does have an odd track-record when it comes to accepting players who have wronged the community, but considering the size and scope of what took place at Full Tilt Poker, and the amount of lives ruined by the year-plus waiting-game for their Full Tilt Poker money, Howard may very well end up as a permanent outcast in the poker community, a la Russ Hamilton. This entry was posted on Wednesday, August 22nd, 2012 at 9:47 am and is filed under Poker News. You can follow any responses to this entry through the RSS 2.0 feed. You can leave a response, or trackback from your own site.